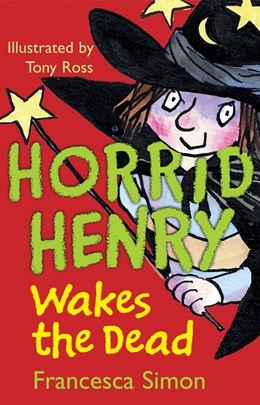 Horrid Henry is back with a bunch of new and funny adventures in Horrid Henry Wakes the Dead by Francesca Simon. In this collection of four hilarious stories, Horrible Henry fights over the remote with his annoying little brother, Perfect Peter. Henry is up against Moody Margaret for School Council President. Just imagine all the things Horrid Henry can do if he’s elected. When Grandma brings Henry and Peter presents, you know they have to get into a fight over the best one. Everyone is excited about the school talent show; especially when they learn that a famous TV presenter will be selecting the winner and he or she will get a chance to appear on a TV show. Henry enlists the help of his brother Peter with unexpected results. As much as I loved Horrid Henry Rocks, this book is ten times better. What a great way to get reluctant readers to crack open a book. These stories are all out there with the zany characters that Simon has created. Moody Margaret is at her moodiest. Anxious Andrew is at his most anxious. And Horrid Henry is truly horrid as he tries to outwit parents, teachers, and peers alike. Tony Ross does a superb job with the artwork in Horrid Henry Wakes the Dead. From the moaning TV to Henry dreaming of being a hawk who swoops in and scoops up Mrs. Oddbod in his beak for a tasty snack, these illustrations are just as outrageous as the stories themselves. I think I’m going to need to clear off a shelf in my house for a Horrid Henry collection. I want them all! Horrid has never been so good! 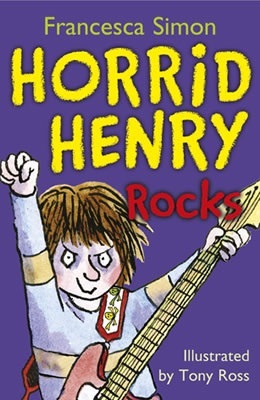 Horrid Henry Rocks by Francesca Simon is a short story collection featuring every boy’s mischievous hero. In these four short stories, Henry invades his brother Perfect Peter’s room, infiltrates Moody Margaret’s sleepover to steal yummy treats, writes his autobiography with odd results, and plots to find a way to attend a concert given by his favorite band, the Killer Rat Boys. This is the first Horrid Henry book I’ve read, but it certainly won’t be the last. I have never laughed so hard in my life. Now, if Horrid Henry was my kid, I would certainly be crying a boatload of tears, but Simon’s horrible main character will delight early readers with his antics. 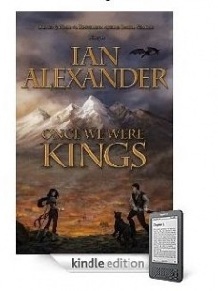 Simon creates a group of quirky characters and embellishes their quirks to the hilt. Moody Margaret is as stubborn as June B. Jones and as obnoxious as Junie’s nemesis, May. Perfect Peter, Henry’s younger brother, is the most perfect kid on the earth. He keeps his room nice and tidy; he does his homework without a problem; and he loves Daffy and Her Dancing Daisies like every good boy should. Lazy Linda is too lazy to bother doing much of anything, and Vain Violet won’t sleep on the floor at Moody Margaret’s sleepover. The illustrations by Tony Ross are perfect for this one. Ross captures Simon’s zany characters in all their quirkiness. 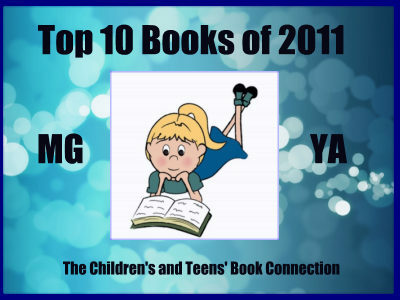 From the point of Moody Margaret’s nose to the ominous zombie from sleepover ghost story, the book wouldn’t be the same without this fabulous artwork. I could see Horrid Henry Rocks ending up on the banned list for the rotten example it sets for kids, but I think Simon does such a great job of going so over the top with her characters that kids and parents will take it in stride. Even though this book is geared more towards boys, I believe girls will enjoy it too. I’m now a Horrid Henry fan. I want all the books now!